**Groovy** is one of my fonts based on a hand lettering project in 2017. It was very inspired from the renowned retro typography designs in late 60’s untill 70’s. 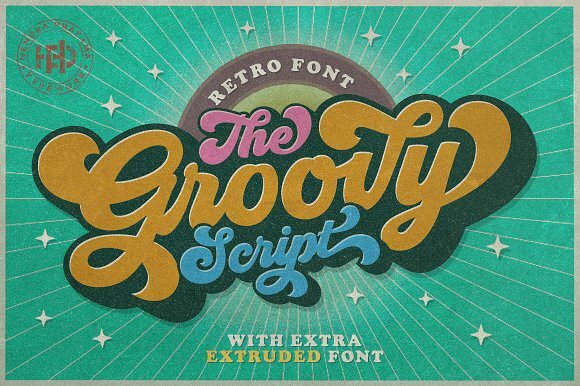 **Groovy** also comes with extra **Extruded Font** version. This mean it will saves your time. Some *OpenType Features* also added to this bold and sporty font. You can pick the alternate for subtitution up to 21 variant per-letter. A font description published on Monday, July 16th, 2018 in Fonts, Script by Andrei that has 2,088 views.